After completing Batman Arkham Asyulm my expectations were too much from Arkham City and it lived all the expectations.I just loved the graphics and the gadgets featured in the game.The story was also intresting with an alternative ending. When i started playing the first Assassins'c Creed,in the beginning my expectations were quite low but it ended out to be an awesome game. Assassins creed 2 was even better with the new character Ezio with two hidden blades and added Weapons and Armour. Then came out Brotherhood and Revealations.Both were awsome. I just can't describe my excitement while playing this game.Exciting story,Augmention Technology and Awsome Weapons.I enjoyed this game too much. hook and Rico's trademark parachute. favor of focusing on urban planning. is one big problem: You've seen it all before. content to warrant a purchase. dishonor. Subtle it isn't; entertaining, it is. I've been a fan of the Prince of Persia franchise ever since 2003's The Sands of Time. 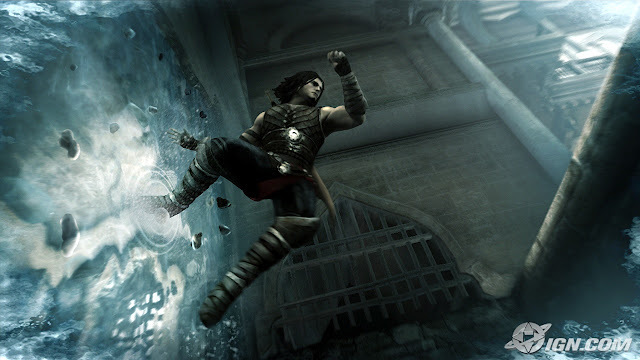 The combination of acrobatics and combat-- along with the sweeping environments -- made the Prince of Persia franchise one of my favorites from the last generation. And despite Ubisoft beating the franchise into the ground by releasing sequel after sequel each year, I still bought and played them all -- though I recognized that the Prince was starting to feel more than a little tired. But the 2008 Prince of Persia -- a reimagining of the franchise that took away almost all the player's ability to fail -- showed that the Prince needed more than just a few tweaks and a short break to be exciting all over again. While some people enjoyed the ultra-forgiving, you-can't-lose aspect of the 2008 PoP, I felt like the game had brought this aspect in at the expense of the sense of accomplishment the previous games evoked. The Prince's adventures need to be beatable, sure, but player's don't need to have their hand held all the way. Which is why I think I enjoyed the latest game, Prince of Persia: The Forgotten Sands, as much as I did. While much more than a simple rehash of previous PoP mechanics, Forgotten Sands manages to find a fine balance between reward and punishment. Combine this with some awesome new mechanics and a combat system that really comes into its own by the end of the game, and it's easy to recommend despite the boring story and rather unpolished feel of the game's visuals. There's one James Bond game coming out this year that's got 007 fans cocking their golden guns in anticipation. Then there'sBlood Stone 007. 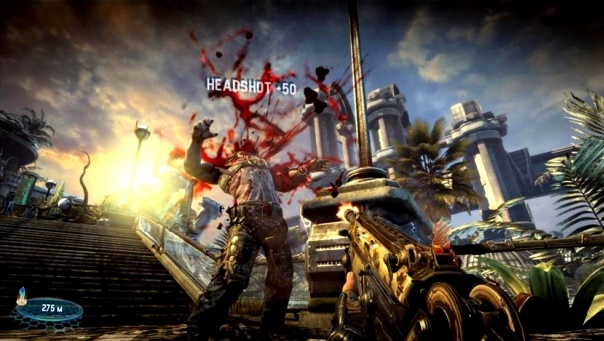 While Wii and DS owners are being treated to a re-imagining of one of the most beloved console shooters of all time in GoldenEye 007, Xbox 360 and PS3-owning Bond fans have to make do with a consolation prize in the form of a third-person shooter from Project Gotham Racing makers, Bizarre Creations. And as far as consolation prizes go, this is about as comforting as an open-mouthed kiss from Dame Judi Dench. Dench and Daniel Craig reprise their roles of M and Bond in Blood Stone 007, while pop singer Joss Stone steps in as the token Bond girl Nicole Hunter. And those are basically the only obligations to the Bond license that this game fulfills. Otherwise there are no memorable villains, no signature gadgets – even the Bond theme music doesn't properly play until the final credits roll – and the only moment even vaguely resembling any form of fan service is the time you get to briefly step behind the wheel of the Aston Martin DB5 from Goldfinger, albeit for no apparent reason. Otherwise this could be any other bog standard third-person shooter with Daniel Craig's expressionless face smeared across it. 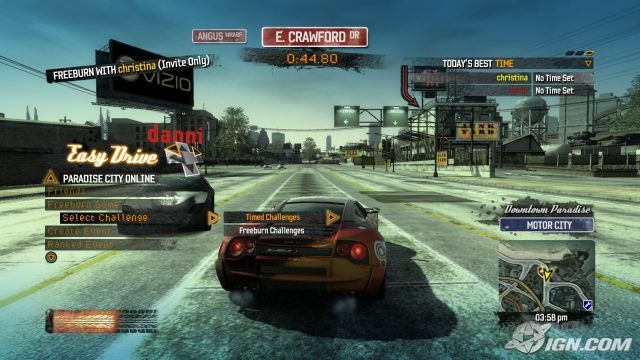 The biggest change introduced in Burnout Paradise is the move to an open world, the streets of Paradise City (cue Guns 'N' Roses title track). The entire city is open at the start of the game, with the idea being that you can do whatever you want, whenever you want. Not all of the events are present at the start, mind you, and you'll have to put in a lot of time to unlock the game's roughly 75 cars, but you're never limited in the options before you. There are bits of good and bad to this. The good is that the city design is great, offering up plenty of varying spots for you to race in and tons of hidden areas to find. There is no shortage of tucked away passages, underground runs and all sorts of cool spots to hit. You'll find jumps littered everywhere, including small ramps with kickers on the side to send you into a barrel roll, which are great for the Stunt runs (which we'll come back to in a bit). 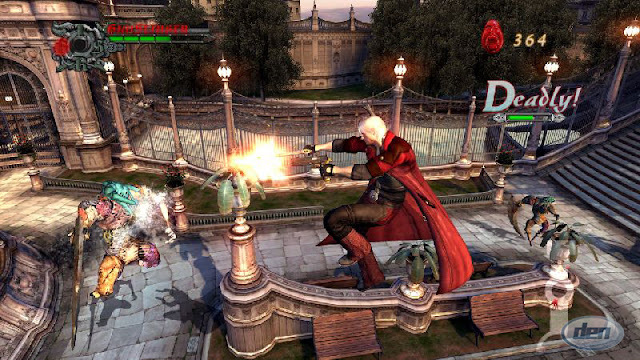 The main downtown area of Paradise City is very reminiscent of the downtown tracks in the last couple games, while the western section of the city harkens back to the long, winding, countryside courses of past games as well. A couple of highways will put you dead in the middle of traffic and give you plenty of road to get up to speed on.